Sorry I missed seeing you, Gwen! It was an such an exciting conference. 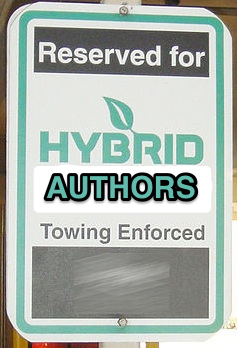 I agree with you about hybrid authors being the future. It’s a wonderful time to be an author! Maura: It really is amazing how quickly everything’s changed. I love that there are more avenues than ever to get our work out there and to find readers. Well said, Gwen. I know I’m seriously considering being a hybrid. Best of both worlds, perhaps? Great post as usual, Gwen!